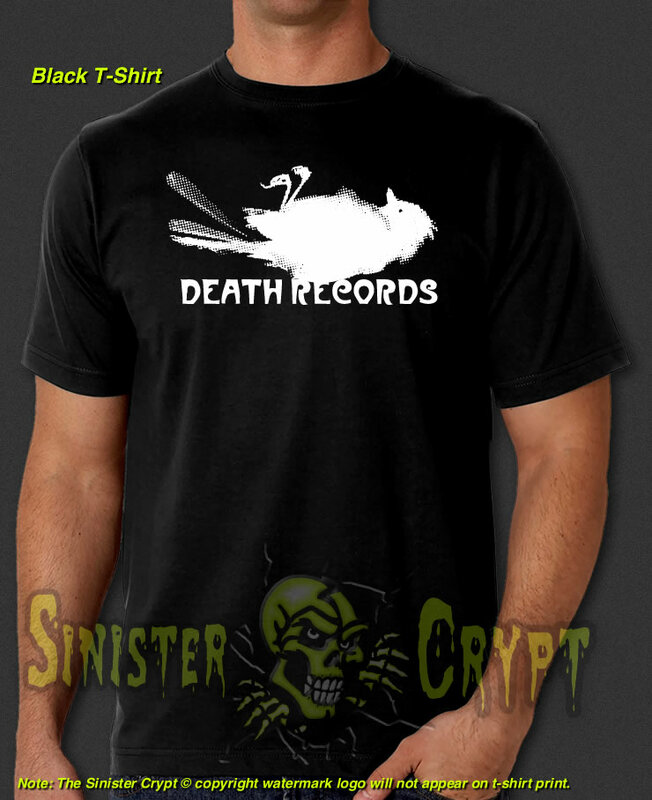 Death Records t-shirt from Phantom of the Paradise. Phantom of the Paradise is a 1974 American musical rock opera horror comedy film written and directed by Brian De Palma, and scored by and starring Paul Williams. In the film, a disfigured composer writes his music for a woman he loves so that she will perform his music. 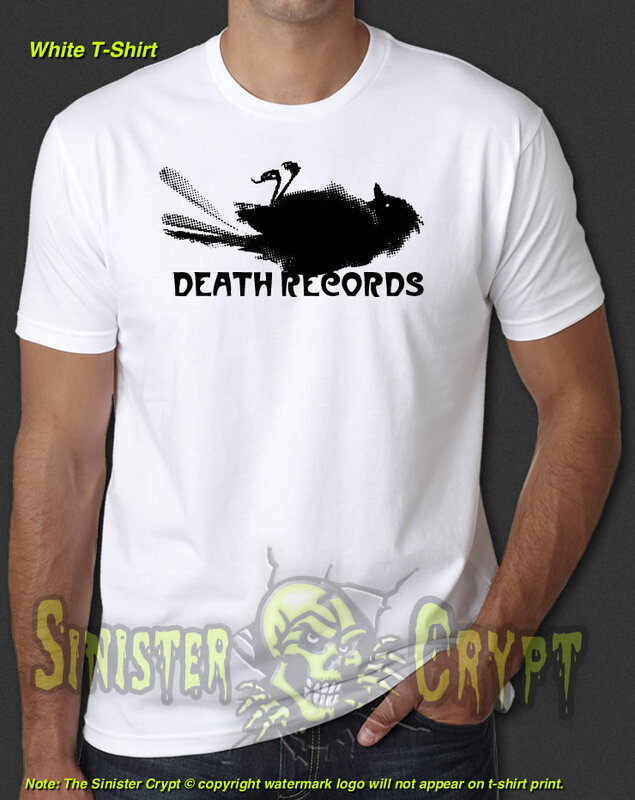 However, a record producer betrays him and steals his music to open his rock palace, The Paradise. Makes a great gift!